Lawmakers hear from more than 30 speakers on proposed environmental regulations. 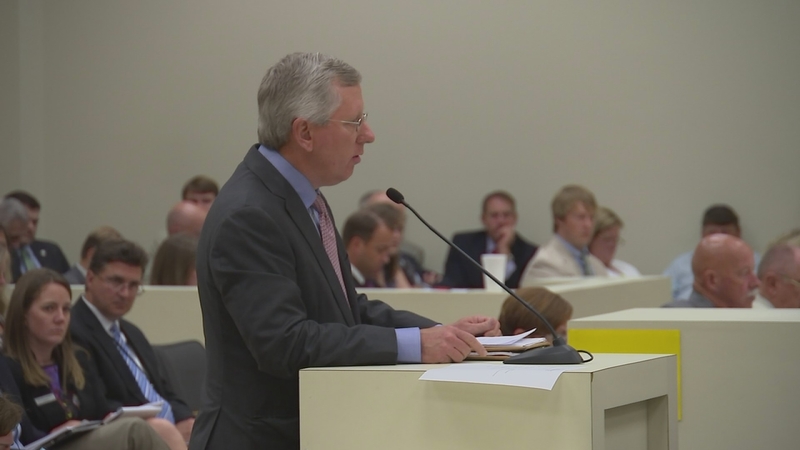 RALEIGH -- Lawmakers heard from more than 30 public speakers on a proposal reform environmental regulations Tuesday and a House committee voted to recommend rejecting Senate changes to the one-page bill the House passed in April. The now 58-page bill addresses everything from regulations on pipes and septic tanks, ATVs, wetlands protection and attorney's fees. Following the committee vote, it is all but certain that a committee of Senate and House members will be formed to hammer out a deal. "No one wants to visit the beach when it's shut down because the water has bacteria or dangerous chemicals in it, and no one wants to buy a house or develop a business on parts of the coast where the water isn't clean." "We've got great water in North Carolina now, and I'd like to keep it that way. Because one thing we have to remember with shellfish, quite a bit of that is eaten raw - straight out of the water - so whatever goes into the water goes into our shellfish." "As the saying goes, everything flows downhill. and we're at the bottom of the hill so we want to make to make sure that everybody above us is doing everything they can to protect it." "Clean air is a right, not a privilege, for the citizens of North Carolina, and the state has an obligation to ensure that its citizens have the highest quality air that they breathe every day." "Rescinding these rules would be a giant step backward. If we're concerned about maintaining the public health of our citizens, I would say that rescinding these rules is the wrong thing to do." "If this provision passes, fewer people are going to be eligible to do brown fields. It's going to take more staff resources and time to do them, it means that a current slow process is going to get even slower." "As a businessman, I don't think government should be in the business of picking winners and losers but that is exactly what it is doing with this legislation." "One of the issues that concerns me more is also the setbacks. We need to maintain our setbacks from the edge of the water source as much as possible because that's the only natural filtration we have left, once a development, house, industry, whatever, gets put in place." "It has implications for contract farmers and their relationship with integrators in the animal agriculture industry. It increases risk for landowners who are neighbors of neighbors of contaminated sites, it has a lot of complex ramifications." "This legislation is unfair in its application. It's bad public policy, favoring government over its citizens, and I would submit there is the potential for it being unconstitutional. ... Our open courts provision says right and justice shall be administered without favor, denial or delay and I would suggest that this legislature is an impediment and barrier that the rights of our citizens to go into court and contest actions that are legitimate that they may win or may not win, but should not have attorney's fees mandated against them if they are unsuccessful and I would urge the House to reject this provision." "We are opposed to the repeal of the electronic recycling program in section 4.2. Counties have already adopted budgets and we believe this will create unfunded mandate to counties to manage discarded electronics, particularly those which are older and most expensive to discard of."